Statement by Maldives on behalf of AOSIS at the 20.. I have the honour to speak on behalf of the Alliance of Small Island States (AOSIS), and align with the statement of the Group of 77 and China, delivered by the distinguished representative of Ecuador. It is my honour to attend and engage in this High Level Segment. The High Level Political Forum is a critical opportunity to review and reflect on how we are doing individually and collectively on our ambitious commitments to realizing the 2030 Agenda for Sustainable Development, by assessing the progress accomplished thus far, and by identifying our continuing challenges. Let us use the HLPF to not only reaffirm our commitment to the 2030 Agenda, but also to make clear what actions and resources are needed in order to improve the quality, quantity, and speed of the implementation of the sustainable development goals, and to help share experiences and good practices. The HLPF remains of great importance to Small Island Developing States. This Forum remains the only space to holistically review the development progress of SIDS, and we appreciate that the commitment made in resolution 67/290 for countries in special situations to receive adequate time and space is being recognized. However, noting that this is the only forum for official SIDS dialogue in this context, it will be remiss of me not to indicate the necessity in having more time allocated to SIDS in this segment. Island states continue to encounter unique challenges and vulnerabilities which often hinder and undermine our developmental efforts towards full achievement of the 2030 Agenda. From rising sea levels, more frequent natural disasters, droughts and flooding, and degradation of our natural environments, in part due to climate change, alongside our remoteness and small size, our challenges are numerous, complicated, and interconnected. Despite these vulnerabilities, we continue to demonstrate leadership in addressing and overcoming these challenges. SIDS remain highly committed to doing our part in this country-led implementation of the 2030 Agenda. However, as the 2030 Agenda points out, especially for small and vulnerable countries like mine, international cooperation and global support remain the key component to achieving our goals. The Secretary General's Progress Report on the Sustainable Development Goals makes clear that current efforts towards implementation are not sufficient in order to achieve our ambitious goals by 2030. The report further outlines the increasingly adverse impacts of climate change, an issue that disproportionately affects small island developing states. The expeditious implementation of the Paris Agreement, adopted under the UNFCCC, is a vital step forward towards mitigating the harmful consequences of climate change, as well as adapting to the effects we can no longer avoid. This remains an existential matter for SIDS as our very survival is at risk. Therefore, sustainable development cannot be achieved without considerations for resilient, sustainable, and efficient energy services and infrastructure, sustainable consumption and production, as well as disaster preparedness and early warning systems as only the beginning. In addition to the impacts of climate change, the rapidly declining state of our oceans and seas caused by cumulative impacts from ocean acidification, overfishing and marine pollution amongst others, are jeopardizing the goal to protect the world's oceans. We welcome the momentum and commitment to take decisive action from the SDG 14 Oceans conference, convened by the President of the General Assembly, and hope that its political momentum is maintained to concretize effective actions to restore, conserve and sustain our marine ecosystems. Healthy oceans and seas are fundamental to the economic, environmental and social well being in SIDS, due to our close ties with the ocean and marine environment. In order to overcome these hurdles, SIDS will require resource mobilization. Domestic resource mobilization remains limited due to narrow resource bases, and small populations dispersed over many, even hundreds of islands. Private investment remains difficult due to these concerns of size and scale, not to mention growing natural hazards, due to climate change and disaster risk and resulting costs of rebuilding. Therefore, international public finance remains a necessary component of our means of implementation. Many SIDS face limited access to these resources and as such, SIDS see space to measure development beyond GDP per capita and income, and recommend the international community instead look to different metrics for vulnerability and context-specific approaches. We also need to ensure that there are easy and simplified access procedures to financing, in addition to less onerous conditions of access. We still need to unlock Means of Implementation for SIDS as we are left out of many funding spaces despite extreme need and vulnerability. In addition, transfer of technology and building related human capacities are required on many fronts, from infrastructure, to high quality, reliable data. Baseline data remains a challenge, as does the lack of statistical capacity to collect, disaggregate and analyse the data required by the indicators. SIDS require enhanced capacity building, particularly to see improved data collection and analysis that informs smart, evidence based decision making, improved financing, and increased access to technology. This should be done through a combination of development of skills, investment in statistical capacities and human resource development, which will provide opportunity for us to engage more actively in the global market. That said, SIDS are committed to innovative, genuine and durable partnerships with the SIDS Partnership Framework, developed from the SAMOA Conference in 2014, which is now a key component of our sustainable development efforts. 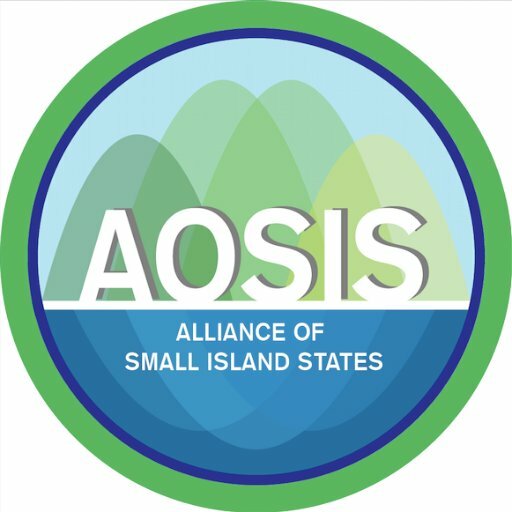 At the most recent partnerships dialogue, hosted during the Oceans Conference, there was useful space for SIDS, partners, and stakeholders to share their experiences, best practices, and to highlight areas for future opportunity. We encourage all delegations to see how they too can engage in co-beneficial partnerships with SIDS across all areas of the Sustainable Development Agenda. We are heartened to note the opportunity presented by the recently launched Global Action Programme by FAO. This Global Action Programme comes directly from a mandate included within the SAMOA Pathway, the roadmap for achieving sustainable development within SIDS, which requested FAO to facilitate the creation of an initiative to focus on food security and nutrition, recognizing this as a clear need in 2014. Limited space for agricultural production, high costs of imported food, and lack of access to nutritious food, among many other concerns, makes the achievement of SDG 2 a key priority for SIDS and we hope to continue this kind of cooperation with other UN agencies as well. We commend all the countries who presented their Voluntary National Reviews last year, and we look forward to the presentations this year. Last year, amongst SIDS, Samoa presented and this year my country, Maldives, and Belize will join others in presenting VNRs. This in itself highlights the high importance SIDS sees in this forum, especially the opportunity to share experiences in our movement towards the realizing of the 2030 Agenda. We hope that the information shared in these discussions provides a legitimate platform that generates greater political commitment to realizing the needed means of implementation that enable tangible progress on not only the 2030 Agenda, but also the Paris Agreement, Sendai Framework, the New Urban Agenda, the 10-year Framework of Programmes on Sustainable Consumption and Production, and the SAMOA Pathway, among others. In conclusion, we would also like to sincerely thank the co-facilitators of the HLPF Ministerial Declaration, the Permanent Representatives of Jamaica and Austria, for their hard work and commitment to the process, especially noting how difficult the consultations were. As can be expected with an intergovernmentally negotiated document, the text does not reflect fully all desires and language of the various stakeholders, and this includes AOSIS; however, noting the high value we place in the HLPF and having a declaration, great flexibility was shown and we remain committed to the text as it was tabled by the co-facilitators, and in this vain we appeal to other delegations to join in this support. When we look back, there has been a great deal accomplished at different levels since the HLPF meeting in 2016, yet much more is necessary before the 2018 HLPF to get us to move closer to our goals, targets, and aspirations for 2030, and beyond. Let us all ensure that by 2030 we have left no one, no island or place, behind.